Instagram is a pretty amazing platform with lots of YOUR customers, clients, recruits on it and yet, I hear time and time again from spirit-driven entrepreneurs that they cannot seem to make it work for them. See what others in your niche are doing successfully and begin to consider what would get people’s attention. Use things like canva.com or wordswag to create engaging images as well. No point creating content that no one sees. USE THOSE HASHTAGS. Do a little bit of research to see which ones will work for you and USE THEM EVERY TIME! Do not assume peeps know what you want them to do. People get distracted so please be sure to boldly tell them what the next step is. I like to use a PS at the end of posts or something along the lines of ‘BY THE WAY…’ and then I direct them to the link in my bio with a reason why they should go there. If you keep talking to the same people everyday, you will end up alienating them finally so please make sure you are doing whatever you need to do to grow your audience each day. Advertising, commenting on niche hashtags, following other peeps and so on. Also, make sure you are building that email list so that you can follow up with peeps off the ‘gram’. Social media numbers can sometimes seem disheartening. 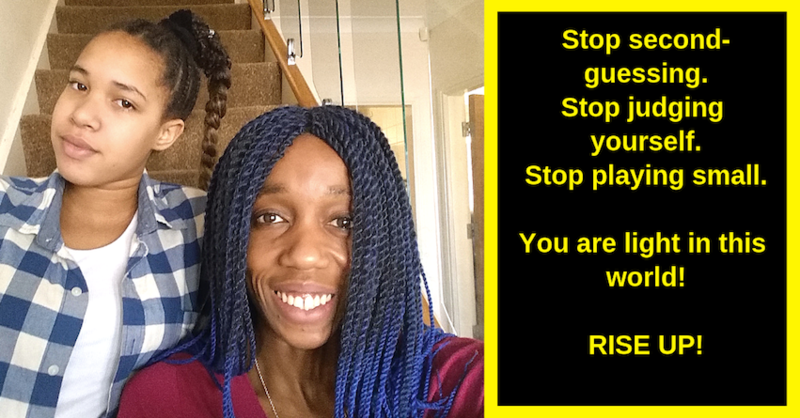 Do not allow that to deter you from staying consistent in doing the work. Keep your mind focused on what you want, not just what is in your physical reality. You are divine being, remember?! so focus and act as the entrepreneur you have decided to be, with the results you have decided to have. 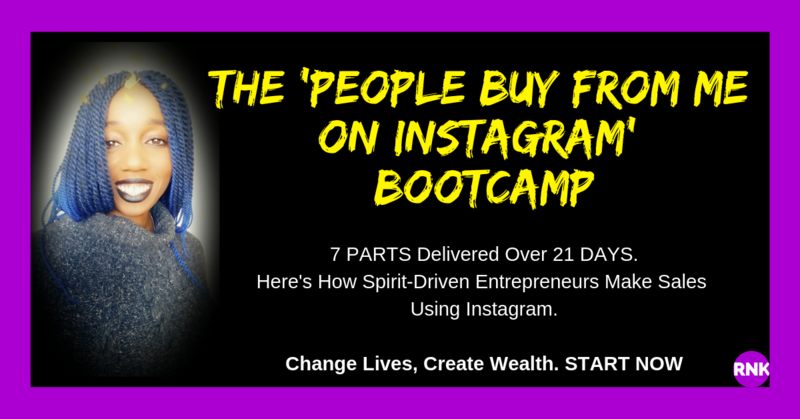 And by the way, The 21 day ‘PEOPLE BUY FROM ME ON INSTAGRAM’ Bootcamp is beginning on Monday.